So without further ado, herewith Amy’s favorites. Enjoy and have a splendid weekend! Jos is like my soul sis. I fell promptly in love with her when we started working as Kirtsy editors together last year. Then we met in San Fran and I knew it was the real deal. I am so smitten with her because she is the real deal. She is authentically cool. Really. She sparkles. She shines. And I hate it that we are not blessed with geographical fate. Here is my random list because I am truly random. 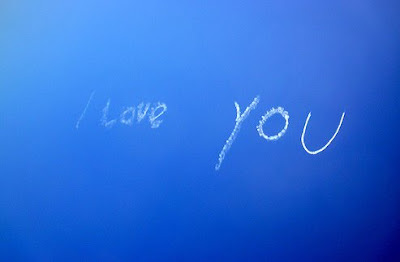 Skywriting -- I have never seen this- but love it. How romantic and dreamy? (image via flickr) I want to see skywriting one day! 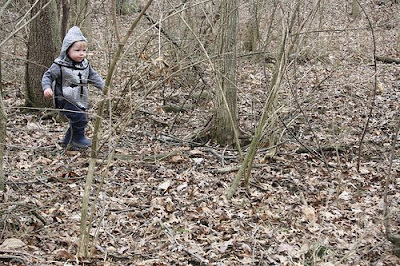 The Woods -- We’ve been having Sunday Knights and Princess time in the ravine near our home. I love the stillness of the woods. I grew up in the country and feel at home in a creek bed. I love to get my kids really, really dirty and then have a bubble bath on Sunday nights! And have you ever seen the movie "Watcher in the Woods" Bette Davis and Disney and so scary. Just a tangent. David Bryne -- Genius. Love him. 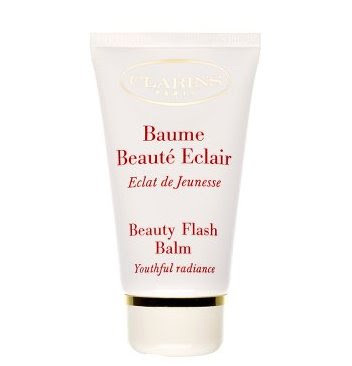 Clarins Beauty Balm Flash -- There is witchcraft in this I think. It is a remedy- a treatment- it is freshness fast! I have loved it for such a long time. 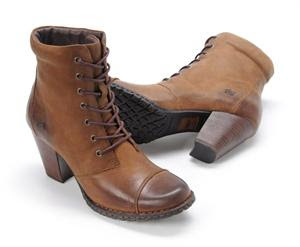 Born Boots -- I love shoes. I have shoes that range from Thrift store to Prada. If I had scads of money I would buy amazing insanely expensive shoes- but for now- I find that Born makes the best leather boots for my big feet! (11 after children!!! EEEEKKKS) My boots last and last and are so comfy! 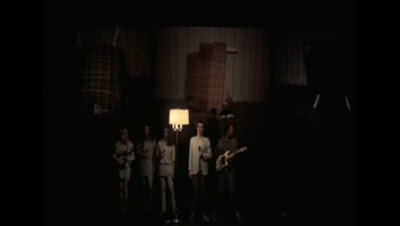 The Beat Generation -- I feel like I should have been coming of age in this time. I think I would have been a great beatnik. 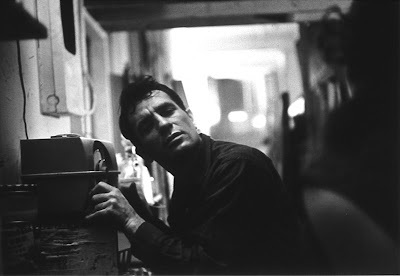 I love Ginsberg, Kerouac, Snyder- all of them! This blog! How adorable is this man and his sassy pregnant wife? LOVE! 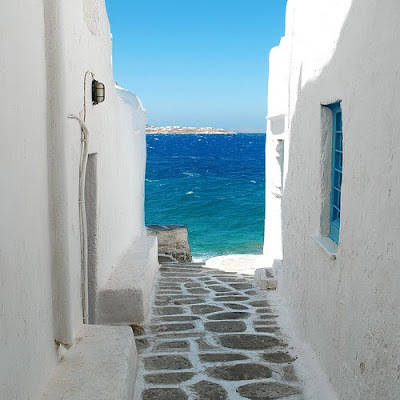 I went to Mykonos for my honeymoon last summer. It's the best place and I so want to go there, every summer! Thank you for your tangent! The other day I was trying to explain this scary forest movie to someone and couldn't come up with the name - it was Watcher in the Woods! Now it won't bug me anymore. And I'm glad you verified my remembrance of it as very scary. I love the first picture. So eclectic! 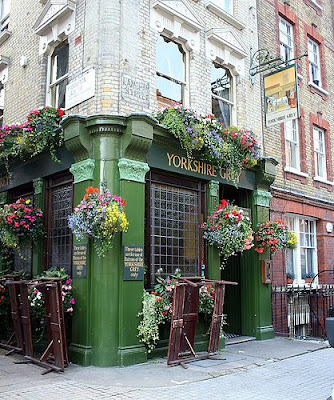 fabulous introduction to another fabulous blogger! Thank you Joslyn for the introduction to Amy!!!! the best. the absolute best. and have you read her latest post for finn's birthday? amy? we must meet in chicago. it's done. and jos? you'd better be there, too. xoxo to two of my faves. I love her. Thanks for showcasing Amy. 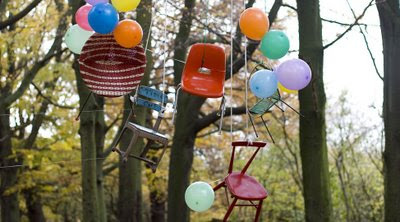 Hilarious that you mentioned Watcher in the Woods. I used to watch that movie when I was a kid and I would have nightmares. It's definitely scary. and I am still freaked out whenever I think about "Watcher in the Woods" and the backwards writing of Karen. Yes! The Watcher in the Woods was terrifying- how is it that more people don't know this movie? I feel very vindicated that you mentioned it. terrific list! sky writing is very fun to watch....not a great idea while driving though.